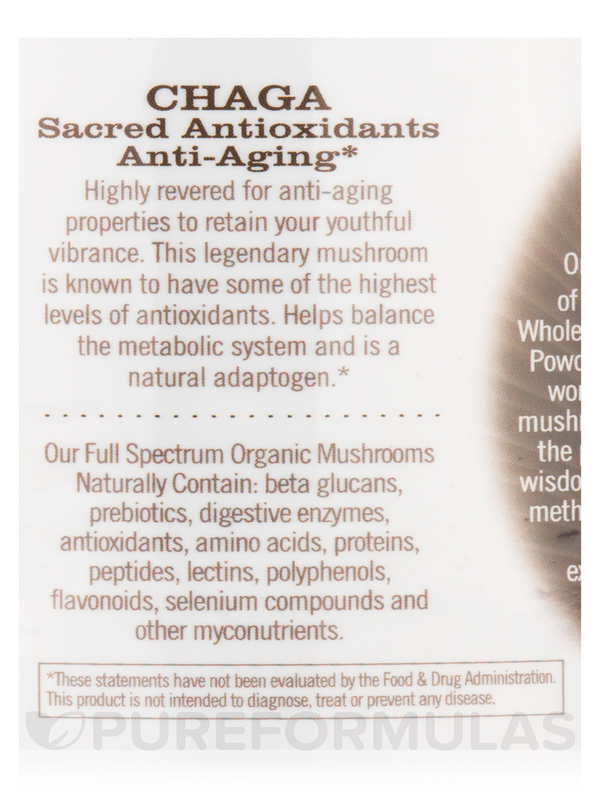 Highly revered for anti-aging properties to retain your youthful vibrance. 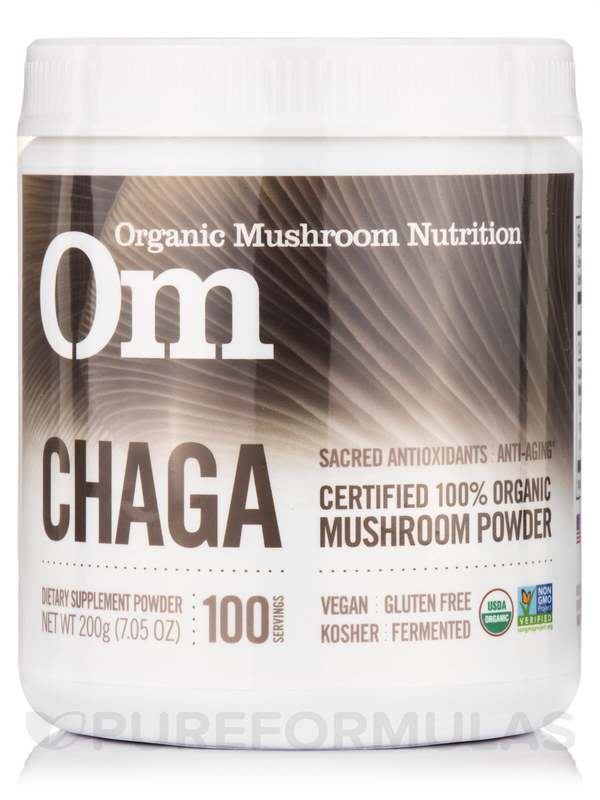 This legendary mushroom is known to have some of the highest levels of antioxidants. 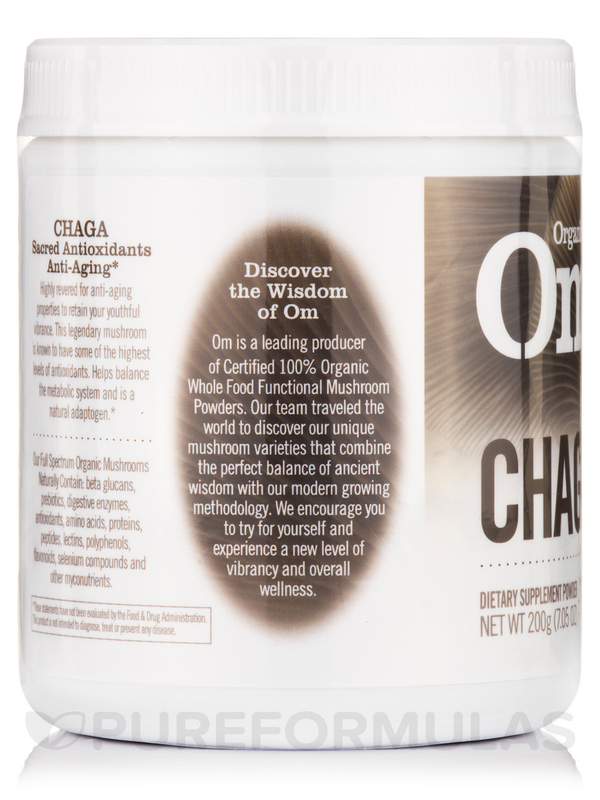 Helps balance the metabolic system and is a natural adaptogen. 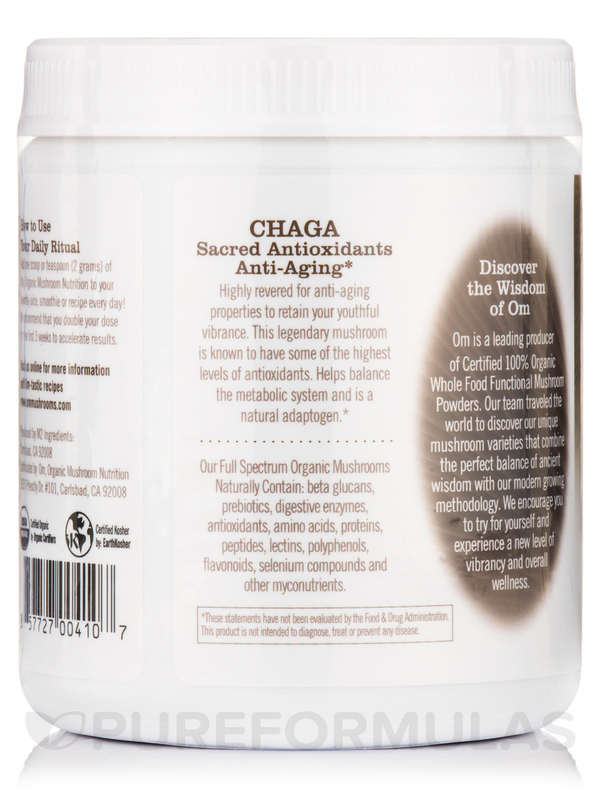 Chaga (Inonotus obliquus) mycelial biomass powder cultured on organic oats. 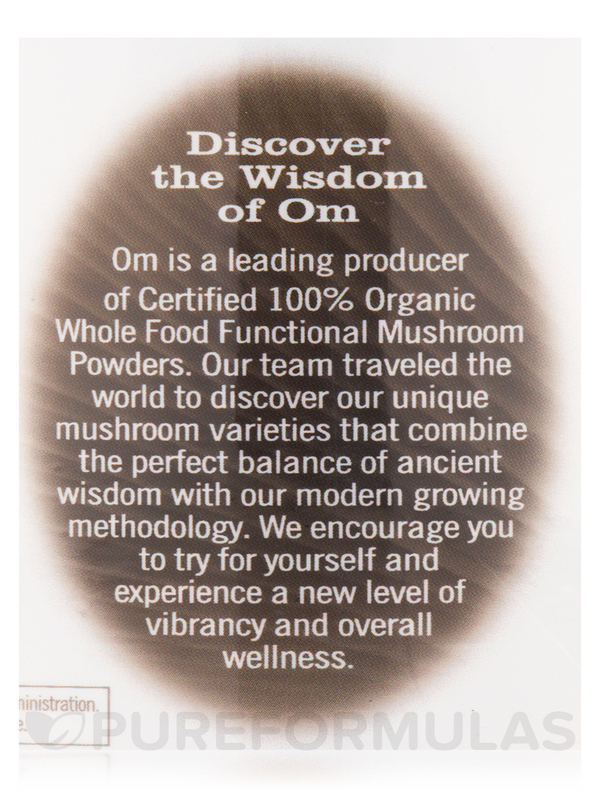 USDA Organic / Vegan / Vegetarian / Gluten-Free / Non-GMO / Kosher. Grown in Carlsbad‚ California USA. 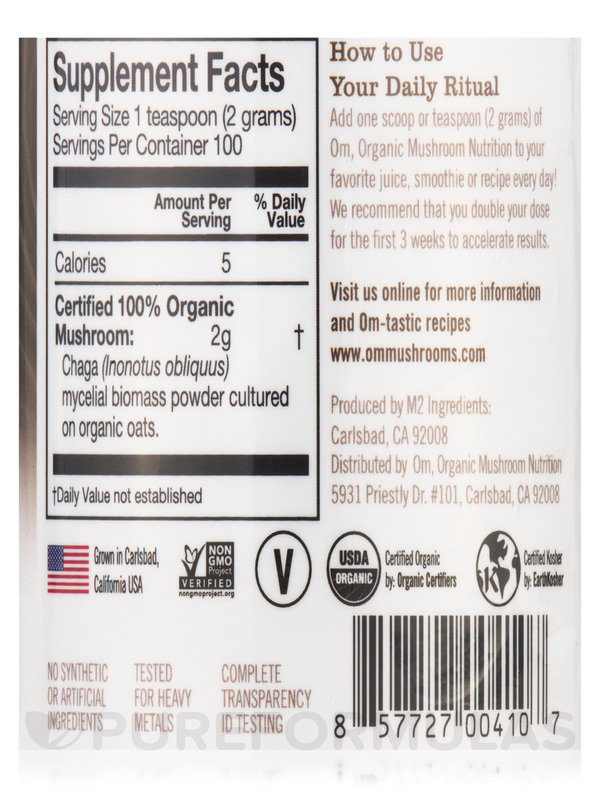 Add one teaspoon (2 grams) of Om‚ Organic Mushroom Nutrition to your favorite juice‚ smoothie or recipe every day. 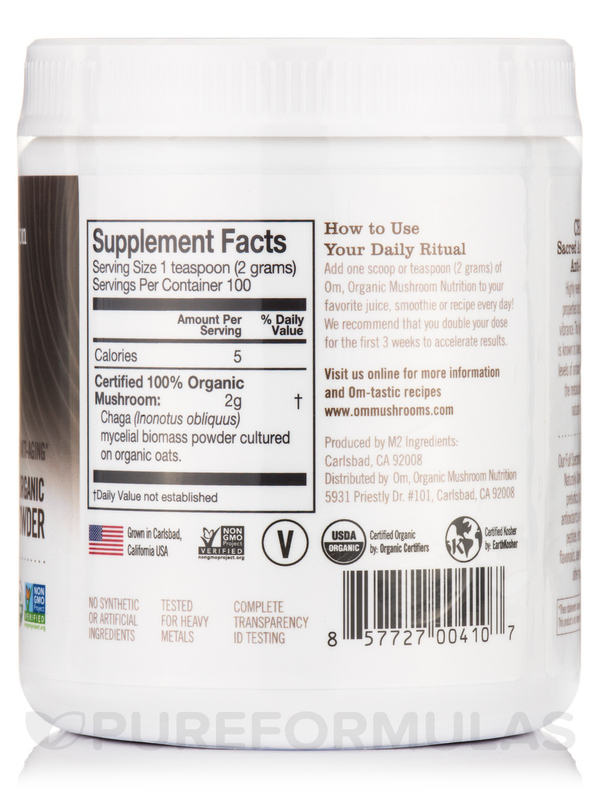 It is recommended to double the dose for the first 3 weeks to accelerate results.